Designing cars, motorcycles, planes, hydrofoils etc. always requires the use of a dummy of a human to get the ergonomics correct. 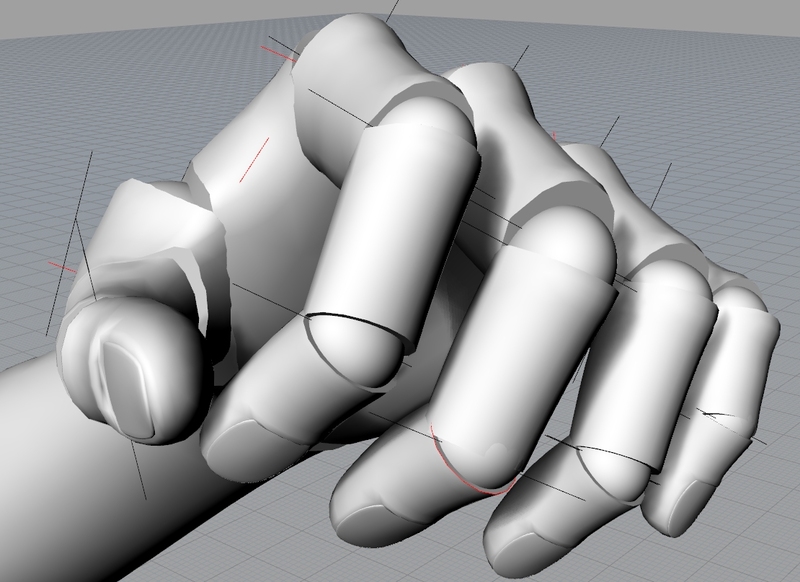 Until recently I used a very basic model based on one of those wooden painters models. So now I made a much more detailed model, based on two freeware models (thank you very much) I found over the years and by looking at what the guys from CADhuman have done, and then replicating it in a practical way. 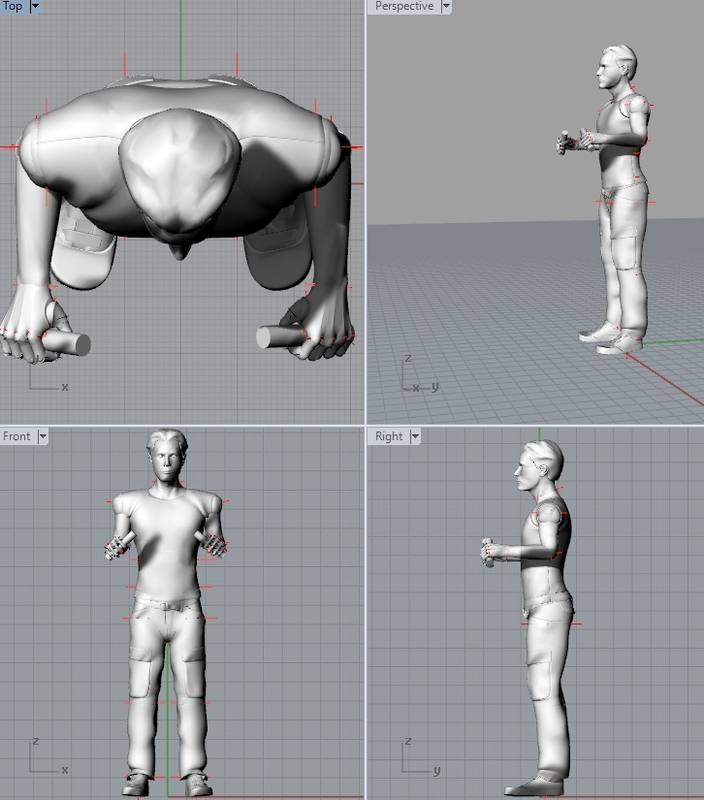 Just some images to show you, how my 3D human looks. From these pictures you can also understand how it was done. 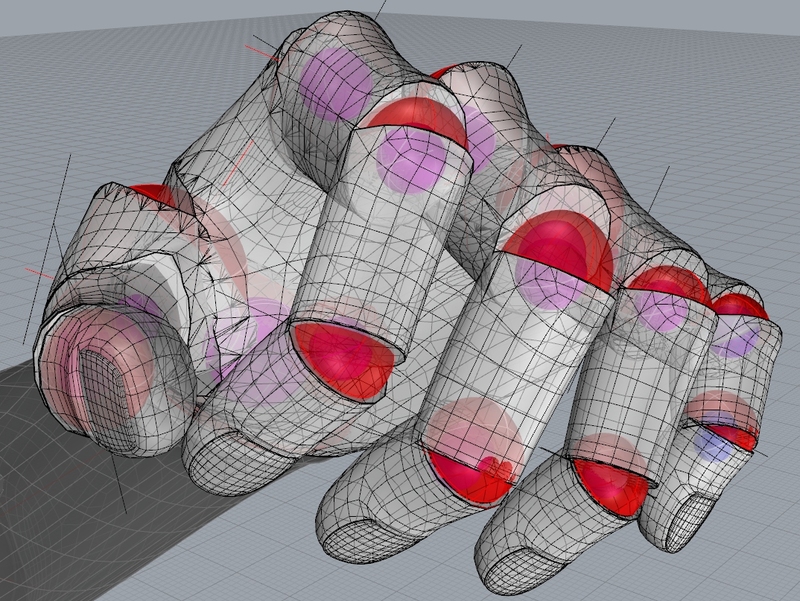 The black and red lines are used to rotate the joints in 3D.